Wexus software remotely connects with your irrigation pumps, buildings & utility smart meters via cloud technology. No equipment needed to get started. By Wexus Technologies Inc. based in San Francisco, CALIFORNIA (USA). Farmplan cattle software is designed to help you efficiently manage your beef herd, whatever the type and size of your farm. 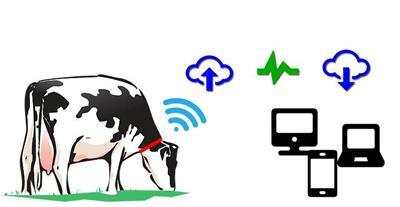 Used widely across the UK by some of most well-known ruminant feed companies and agricultural consultants, the Datag Dairy Farm Costing System is an effective program created to simplify the collection, organisation and presentation of dairy farm data to evaluate the physical performance of the herd. Records system for feed/livestock inventory control, production analysis and planning. Traces animal inventories and tracks feed movement by ration between stages, locations and groups. Seamless integration with TransAction Plus accounting. ATA produces the following types of reports. Click on the report type link below to find out more information about the report type as well as the individual reports that are produced within each category. By AgriTech Analytics based in Visalia, CALIFORNIA (USA). By Windmill Software Ltd based in Manchester, UNITED KINGDOM. Individual animal management is the underlying principle of Cow Sense products and services. Advances in science and technology provide enhanced tools to make individual animal management easier to adopt. Cow Sense products are focused on adapting these technologies at the farm and ranch, the 'non-confined' area of beef production. By Midwest MicroSystems L.L.C based in Lincoln, NEBRASKA (USA). Time is money. With the new DHI-Plus® Mobile Service, save valuable minutes by staying up-to-date anywhere, anytime. By DHI-Provo / DHI Computing Service, Inc. based in Provo, UTAH (USA). Livestock, crops, harvests, equipment, income & expenses all in one place. Simply and easily keep track of all your important records for your agricultural business. Record information, financial details, notes, and activities for your crops, livestock, staff & assets. By CattleXpert LLC based in Elkhorn, NEBRASKA (USA). A smart collar continuously monitors your cows' behavioural patterns, the data is collected and transferred to our data centre where we conduct a multi-metric analysis of your entire herd and issue alerts on your cows health and fertility directly to your phone. By HerdInsights based in Cork, IRELAND. AgriTask is an advanced agronomic management and agricultural decision support system that serves both private growers, and regional and state level agricultural authorities, helping them to improve food security and farmer profitability, food safety, environmental protection and the stability of the agricultural supply to the markets. By ScanTask Ltd. based in Holon, ISRAEL. Total Weather Insurance (TWI) is the only full-season insurance program that enables you to protect your potential profits by insuring against adverse weather events that can cause yield shortfalls, even when you fully utilize Federal crop insurance. Better Data. Better Decisions.The most advanced way to get insight into your fields. Automatically collect data from any source. Break free and leverage the largest network of integrated technologies in agriculture.